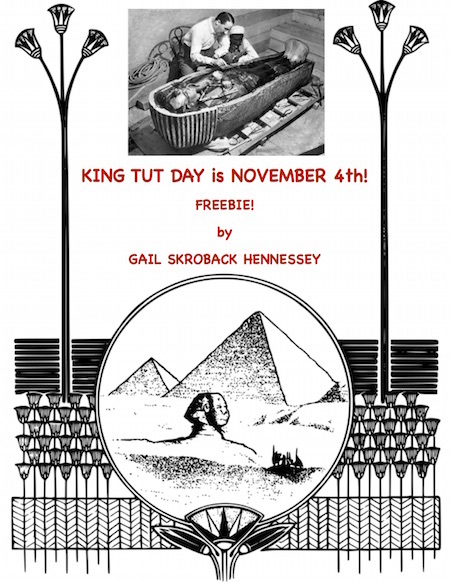 Home >> Blog >> King Tut Day is November 4th. Are You Ready for this FREE Interactive Notebook Activity? 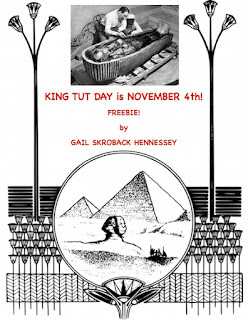 King Tut Day is November 4th. Are You Ready for this FREE Interactive Notebook Activity? 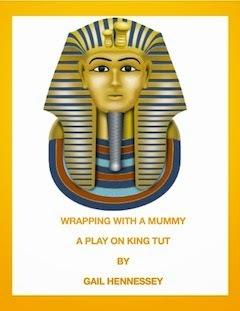 King Tut Day, yes there really is such a day on the calendar, is celebrated every November 4th. It was on November 4, 1922, that Howard Carter uncovered the tomb of Tutankhamen! 1. Lord Carnarvon was bitten by a mosquito, while in Egypt and died days later. It is said that the lights in Cairo, Egypt, went out when Carnarvon died. Also, back in London, his dog is said to have started to howl and, died. When King Tut's mummy was unwrapped, a mark was found in the same location as the mosquito bit on Lord Carnarvon. It was around this time that the idea of a curse on those that went inside the tomb began to gain in popularity! 2. One of the discoveries in the tomb, in addition to golden statues and a golden throne, jewels and chariots, was a box of UNDERWEAR for King Tut to use in the afterlife. 3. Licorice was also found in King Tut's tomb. 4. Each of King Tut's toes were individually wrapped in gold! 5. Watermelon seeds were found in King Tut's tomb. 6. With the discovery of the tomb, all things Egyptian became very popular. Women began to wear dresses with Egyptian patterns. Songs about King Tut were written,dances created and beauty products were advertised with Egyptian themes. This popularity in all things ancient Egyptian was called "Tutmania". 7. Twenty-two pounds of gold were used to make the gold mask of King Tut. 1. A number of people that went into the tomb died under unusual circumstances. However, the person that discovered the tomb,Howard Carter, lived a long life. So, if there was a curse(as stated on the entrance of Tut's tomb), it didn't harm Carter. WHAT might explain why some people may have died from being in the tomb, opened for the first time in centuries? 2. When Howard Carter discovered the tomb, he waited weeks for Lord Carnarvon to travel by ship to be there for the opening of the tomb. He had guards stand watch at the entrance of the tomb. He did NOT go inside. He felt that since Lord Carnarvon had funded the expedition, he should be there for the "opening". Could you have waited? 3. Do you think that people should disturb a person's tomb? Does being VERY old make it OK to do? 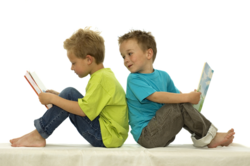 Write a persuasive paragraph on your position. Include at least 2 reasons for your position. 4.Many mummies are on display in museums, instead of the tombs in which they were discovered. Would you like your body to be displayed in a museum for people to views? FREEBIE! 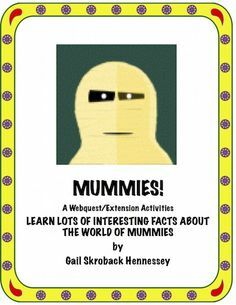 Fun Interactive Notebook Activity on Mummies: Amazing Mummy Facts!